Two powerful dates are coming up fast…. 12-12-12 and 21-12-12, the long awaited mayan calendar end date. After 12-12-2012 there will be no more dates where day, month and year are the same number until the 22nd Century. Much has already been said about the 21st December (and more will be), so let’s take a look at 12-12, a perhaps significant staging post on the way to the 21st. 12 contains numbers 1, 2 and added together, 3. 12 is the number of completion, harmony and perfection. Stephanie Azaria (thecosmicpath.com) says the numerology of 12/12/12 is about letting go of old patterns, releasing anything that is holding us back from our own evolution. Our higher selves are just waiting for us to drop the ego stories and incarnate their divine essence. The end of the Mayan Calendar is highlighting this opportunity, but we can find reasoning for it from our own cultural systems too. Right here at home in Europe we have our own astrological chart that more than adequately guides us through these times of great transformation. Recent movements of the epoch-making outer planets into new signs are heralding the changes. Pluto moved into the sign of Capricorn in 2008 and will be there until 2023 – its function there is to transform the structure of society, and destroy that which no longer fits with the evolutionary plan. Neptune entered its home sign Pisces for four months in 2011, then re-entered it on February 3rd 2012, and will stay there until January 2026 – this position in mystical, empathic Pisces brings us into deeper awareness of the higher love of the timeless soul and of the fluidity of multi-dimensional reality. Uranus, the Awakener, entered the fire sign Aries in 2010 and stays until 2019. The influence here is sudden, revolutionary change, the energy of awakening to our true nature as spirit, and brings the spark of a new age. Coming slightly closer to Earth, Saturn entered Scorpio in October 2012 (until the end of 2014) which is bringing secrets, wounds and abusive histories up from the depths, but also gives us the impetus to let go of feelings and habits from the past that continue to hold us down. Coping mechanisms such as addictions may just not appeal any more, it is time to change. Finally, Jupiter is in Gemini from June 2012 until June 25th 2013, bringing a loosening up of what has been in a fixed state, especially in the area of stuck mental attitudes and beliefs, and along with it an air of excitement and optimism about the future. Astrologically, 12-12-12 is the darkest point of the monthly moon cycle, with new moon in Sagittarius arriving on the 13th. Dark moons tend to reveal what is hurting in us, what needs attention. The moon has been having a particularly fierce affect on us lately. The full moon in Gemini and lunar eclipse on November 28th pushed many people into a tail spin, with unhealed parts of the self exposed in what was effectively a full and dark moon happening at once. Nothing much could stay hidden in this situation. This was then followed by a weekend with the moon in Cancer, still bright and nearly full and shining its light on all our emotions and feelings. This would not mean crisis for everyone, and could well have produced greatly magnified positive feelings, though for some these may have tipped easily into exaggeration and ‘lunacy’. When the moon reached Leo on Monday 3rd December the build up of this emotional energy may have led to some fiery outbursts, and perhaps to more indulgence and excess before the lunar energy calmed down. I bet we all are mostly feeling more balanced right now, and this will continue into the weekend. The next thing to be aware of is that the moon will be in Scorpio from Sunday 9th until Tuesday 11th December, bringing another journey through the energy of death and rebirth. The best advice is ‘don’t suffer! Use this energy to release pain and let go of the past’, and so get ready for the influx of light 12-12-12 offers. The moon and sun will both be in Sagittarius on this date – there could be no better energy for breakthroughs into higher consciousness. 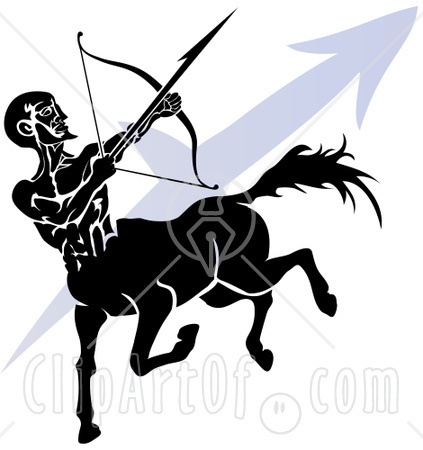 Sagittarius is also a sign of service, so dedicating our energies to the wider benefit of all humankind will help us individually as well as collectively. Whatever you do on 12-12-12 this is a good time to look out for signs of change in yourself and in the environment. Then get ready, a new world is about to be born. OK, OK many will not notice anything different, and perhaps most of us who see the birth of a new world have already been experiencing that for some time. But nevertheless, numbers are magical, they contain power – which we can ignore or harness, we have the choice.